Vancouver, B.C., November 14, 2018 – Titan Mining Corporation (TSX:TI) (“Titan” or the “Company”) today provided an update on the operations and exploration program at its Empire State Mine (“ESM”). All financial amounts are in U.S. dollars, unless otherwise stated. Titan’s executive leadership team was strengthened with the appointment of Donald Taylor as Chief Executive Officer, Purni Parikh as President and Kevin Torpy as VP, Operations. The Board of Directors was enhanced with the addition of John Boehner, James Gowans and William Mulrow, bringing further mining and financial expertise to the Board. 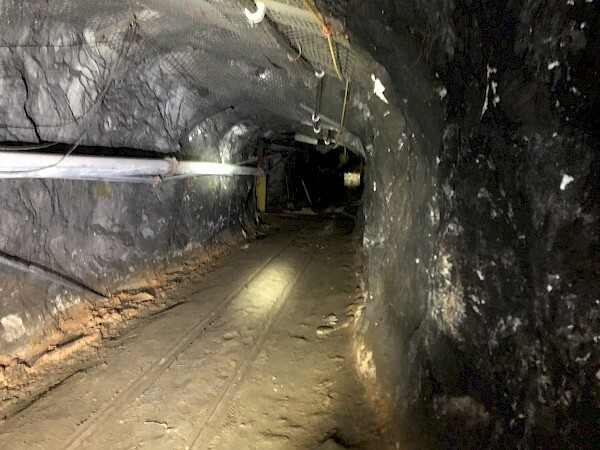 Drilling has resulted in a major high-grade expansion of the near-mine #2D zone, formerly referred to as #2 Deep, by over 700 feet down-plunge. The zone remains open at depth and laterally toward the #4 shaft. Development of this zone will be a focus in the short term. A definition drilling program is planned for the fourth quarter of 2018, and preliminary engineering design is underway. 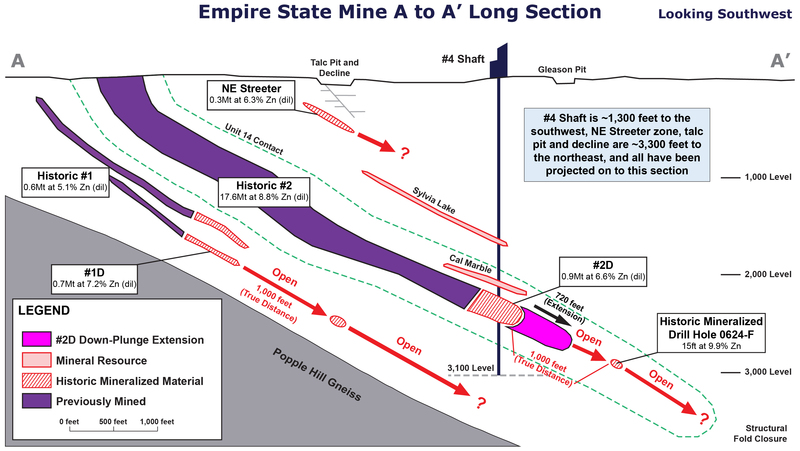 An updated mine plan for ESM, incorporating the #2D zone, is expected in the first half of 2019. Production at ESM was impacted in the third quarter of 2018 mainly by low productivity from the mining contractor, however, payable zinc shipments increased by 6% from the prior quarter. The transition from contractor to owner-mining has been completed and 190 of 200 staff positions at ESM have been filled to date. Titan has received a commitment for the financing of its operations into 2019. Richard Warke, Executive Chairman of Titan, has committed to finance the Company’s operations into 2019. In the third quarter of 2018, mine ore production of 57,544 tons was 11% lower than in the prior quarter, however, milled grade was 9.0% zinc and concentrate grade was 59.7% zinc, demonstrating effective grade control. Zinc concentrate production was 8,816 tons, a 7% increase from the prior quarter, reflecting higher average feed grade and high mill recovery of 96.1%. Payable zinc shipments totaled 9.4 million pounds, an increase of 6% from the prior quarter. Production at ESM was impacted by a number of operational issues in the third quarter. 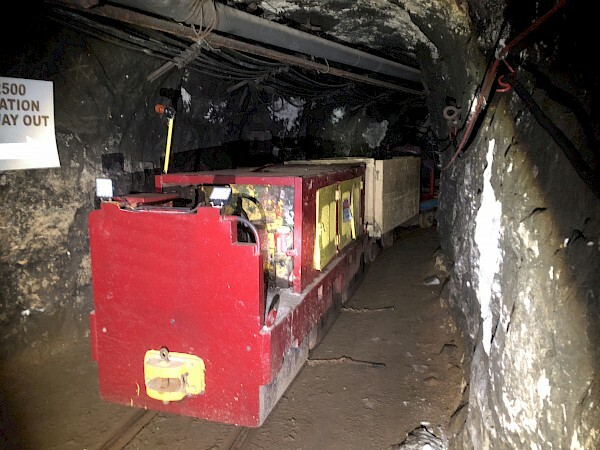 In late July, a hoist incident occurred following which underground activities were suspended for six days. The cause of the incident was electrical in nature, and corrective action was taken. ESM experienced lower development and production rates than anticipated due to underperformance of the mining contractor, which impacted the overall level of productivity. The mine is expected to benefit from the transition to owner-mining which was completed in October. Recruiting efforts associated with the transition have been progressing well. There are 10 positions remaining to be filled in order to reach the current target staffing level of 200. Successful exploration drilling has extended the previously identified mineralization in the #2D zone at ESM (see News Release dated June 12, 2018). 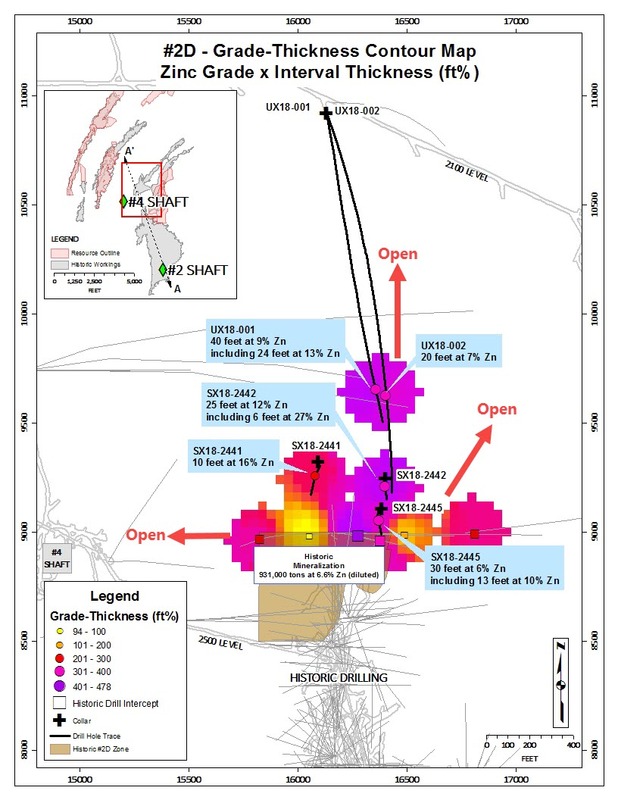 The exploration drill holes highlighted in this news release are step-out holes from the unmined historic #2D mineralized zone, confirming the presence of robust mineralization down-plunge to the north-northeast of the historic #2 mine. Multiple mineralized horizons (#2D Upper and #2D Lower) were intercepted, demonstrating the continuity of mineralization along strike and laterally in the #2D zone. Based on the drill results, there is potential to expand the historic unmined mineralized material of 931,000 tons at a diluted grade of 6.6% zinc. The #2D zone is located approximately 650 feet east of the #4 shaft, at an elevation above the bottom of the shaft. 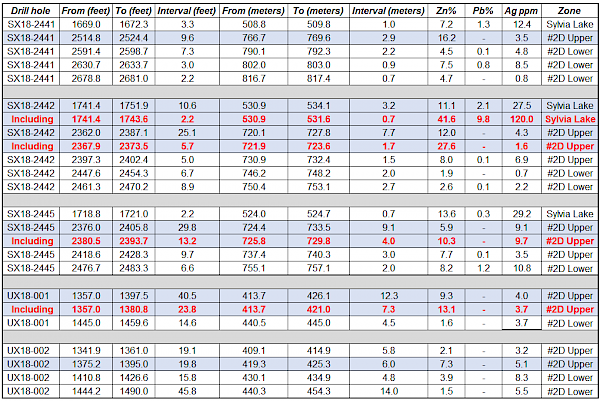 For a full list of the #2D and Sylvia Lake mineralized intervals from these holes, refer to Table 1. Note: It is not possible to determine the true width of the zone based on the drill density and no representation is made here regarding true width of the zone. In Figure 1, grade-thickness contours, based on the cumulative thickness of layered mineralized horizons at #2D, show an area of thicker, high-grade mineralization which extends down-plunge and may be associated with a fold hinge. Figure 3 shows part of a two-foot interval of drill core from Hole SX18-2441, containing high-grade, coarse-grained sphalerite, and assaying 33% zinc. Figures 4 and 5 show a locomotive and rail cars on a heavy duty track on the 2500 level at the #2D zone, part of the existing infrastructure that connects this zone to the nearby #4 shaft. 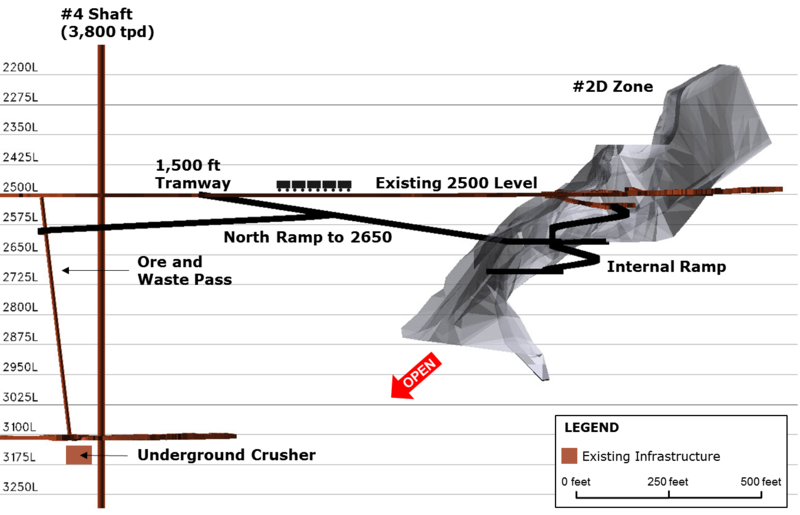 Figure 6 is a schematic long section of the #2D zone, looking northeast. In the fourth quarter of 2018, Titan plans to spend $1.5 million on exploration drilling in the #2D zone. Drilling is underway with five exploration drills (two underground and three surface) and the Company expects to expand the zone further, and define it with 200-foot drill spacing over at least 1,000 feet of strike length from the historic mineralization. 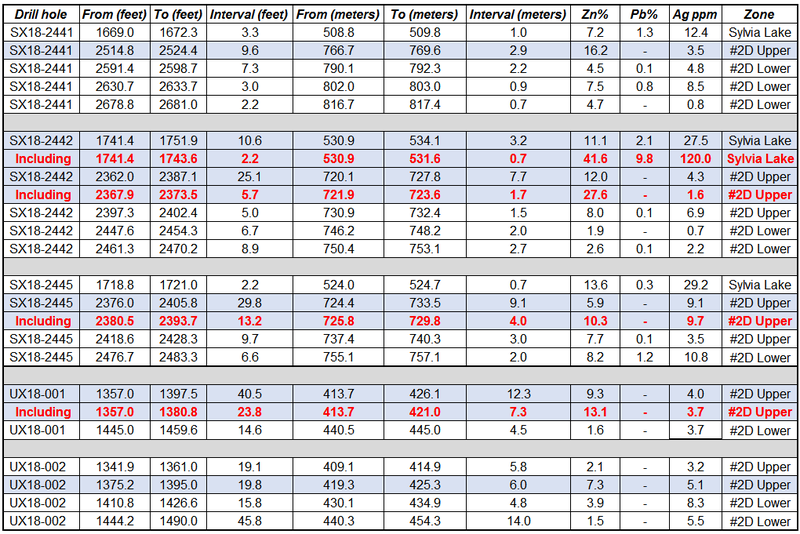 Note: Grade-thickness reflects cumulative thickness of #2D Upper and #2D Lower horizons of mineralization. 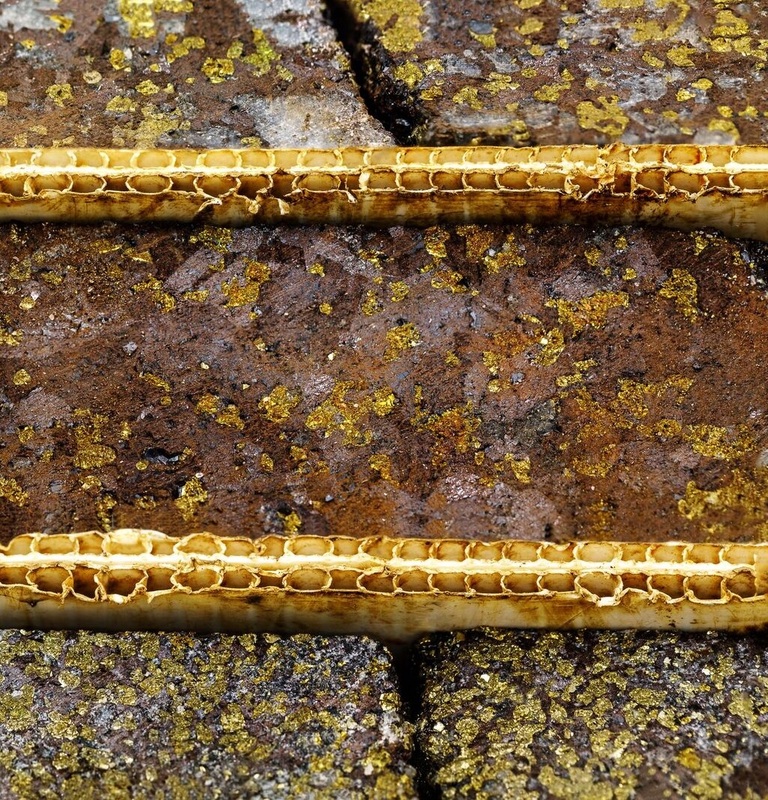 The results of the Titan drilling have been reviewed, verified and compiled by Donald Taylor, MSc., PG, Chief Executive Officer of Titan, a qualified person as defined by National Instrument 43-101 (NI 43-101). Mr. Taylor has 30 years of mineral exploration and mining experience, and is a Registered Professional Geologist through the SME (registered member #4029597).